Home > Questionnaires > Questionnaire: Should I Remortgage If Expecting Redundancy? Being made redundant can be a major blow to not only your self-esteem but also your finances, however if you know in advance redundancy is on the horizon you can put some plans in place. Changing your mortgage rate is usually the last thing on your mind if you know redundancy is coming, but if done correctly remortgaging can cut down your costs. Not everyone will save money by remortgaging though and in some cases it could cost you more. These questions should help you decide whether remortgaging is right for you.1)	What Type of Mortgage Do You Have? 2)	When Was The Last Time You Remortgaged? 3)	When Was The Last Time You Had The House Valued? 4)	How Much Of Your Mortgage Have You Paid Off? Many borrowers do still not realise the importance of remortgaging and see it as something that should only be done if they need to release money from their home or want to change the terms of the mortgage. You should remortgage though every time your current deal comes to an end, for example if you are on a two-year fixed rate after the two years your rate will move onto the lender’s standard rate, which is likely to be more expensive. If you have never remortgaged or never had your house valued since you moved in you could be paying a lot more for your mortgage than necessary. You should start to shop around and speak to banks and a mortgage adviser about what deals they can offer. The more equity you have in your house the lower your payments will be and a new mortgage deal should take this into consideration. If you think redundancy might be on the cards now is an ideal time to remortgage and fix yourself into a mortgage rate for the next few years that is lower than what you are on now so you know where you stand. It is best to remortgage before you have been made redundant as if you know you are definitely being made redundant a lender will not offer you a mortgage because you will not be able to afford it. From your answers it sounds like you could benefit from remortgaging and you should at least look to see what other deals are on offer. If you are on a tracker mortgage you will be tracking the Bank of England’s base rate. This may be low at the moment but rates may suddenly shoot up in the next two years and if you do find yourself redundant your payments may go up considerably if the interest rate does. It may be a good idea to fix now so you know what your payments will be over the next two years. If you have not remortgaged recently there might be some better deals out there that you are missing. It is hard to find competitively priced mortgages if you don’t own any equity in your home, but once you have paid off 30% of your property’s value rates should go down. It sounds like you have recently remortgaged and are well informed when it comes to getting the best mortgage deal. If you have only remortgaged in the last two years it is unlikely it would save you money to switch deals because of the fees you would have to pay. 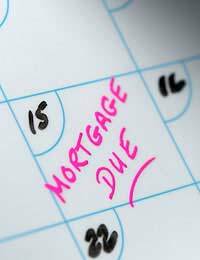 You will find it hard to remortgage if you are made redundant, so if your deal does have a lifespan of a couple of years you should plan ahead for this date and work out what your mortgage payments will increase to. A soon as you feel you could be made redundant you should start to reassess your outgoings, one of which is your mortgage. If you have no job it will be almost impossible to remortgage so the sooner you can check you are on the cheapest rate the better. You should always be truthful with a mortgage lender though and if you know you face redundancy you will have to tell them as this could affect your mortgage application.